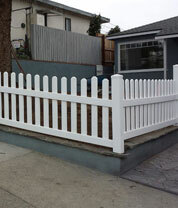 J&J Vinyl Fencing is Beverly Hills's premier provider of top quality vinyl and aluminum fencing at affordable prices. Our parent company, J&J Fencing, was established in 1978, and has proudly served all of Los Angeles County for over 35 years. Our company's skilled vinyl fencing technicians average over 15 years of experience working in the fencing industry, and are committed to observing the highest standards of workmanship in their fence and gate installations. And because we appreciate the importance of providing complete customer satisfaction, our company's owner personally oversees each and every one of our vinyl and aluminum fencing projects throughout all of its stages, from design concept through project completion. At J&J Vinyl Fencing, we are an authorized dealer for ActiveYards® vinyl and aluminum fencing, and proudly install their full line of exceptional quality vinyl and aluminum fencing products. While there are many choices on the market today when it comes to vinyl fencing, the quality and durability of these products can vary significantly. What sets ActiveYards® vinyl fencing apart from its competitors is not only its superior resistance to the elements, but also its appearance-ActiveYards® vinyl fencing truly possesses the look of genuine wood fencing, without any of the drawbacks. It is warranted against peeling, flaking, splintering, corrosion, and rust for as long as you own your Beverly Hills home, and will not fade over time. 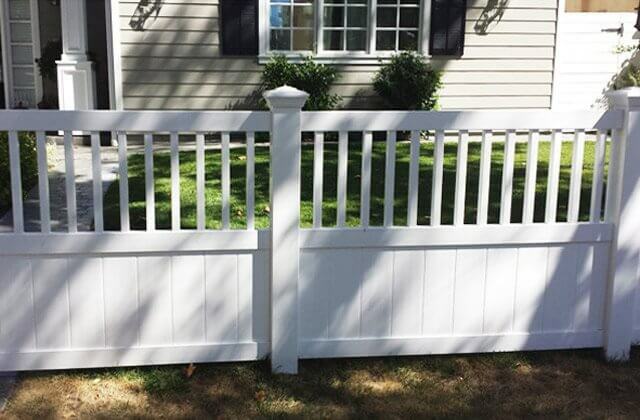 Unlike real wood fencing, it never requires painting, staining, or sealing, and will retain its like-new appearance for decades to come. Similarly, ActiveYards™ aluminum fencing serves as a much more durable alternative to traditional iron fencing, and is available in a variety of beautiful designs and finish colors. Unlike wrought iron fencing, it is chemically resistant to rust and corrosion, and for this reason, will achieve a far longer lifespan. Contact J&J Vinyl Fencing today, to schedule a free design consultation and estimate on a beautiful vinyl or aluminum fencing system for your Beverly Hills home or business. We offer a 10% discount on our premium quality fencing installations to all first time customers, and accept Visa, Mastercard, Discover Card, American Express, and checks. 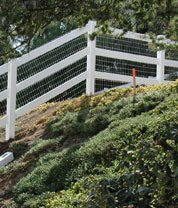 J&J Vinyl Fencing is licensed, bonded, and insured. At J&J Vinyl Fencing, our premium quality vinyl fencing and gates are built to last, and are unsurpassed for their structural soundness and their ability to stand up to sun, wind, and moisture. Fabricated to include the unique, patent-pending GlideLock™ system, our privacy vinyl fences and gates are installed utilizing an innovative click-and-lock assembly which precludes the necessity to use metal hardware for fence construction. In addition, our vinyl fencing is infused with the SolarGuard™ color protection system during the extrusion process, and will resist fading throughout the lifetime of the fence. It is available in a choice of contemporary and traditional designs, including both privacy and semi-privacy styles, and comes in a choice of heights, colors, and post cap styles, so that you can design the perfect vinyl fencing system to complement the look of your Beverly Hills home or business. Aluminum fencing is the perfect choice of fencing for home and business owners who would like the look and curb appeal of traditional wrought iron fencing without the durability concerns. Because of aluminum's chemical composition, it possesses a natural resistance to rust and corrosion, and typically lasts decades longer than wrought iron fencing. 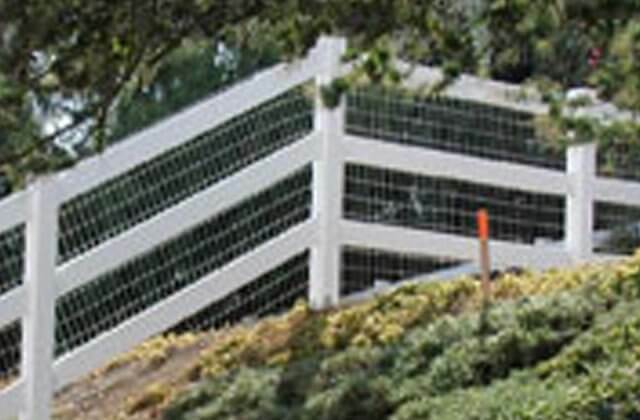 It is lightweight but extremely strong, and provides a secure barrier to protect your Beverly Hills home or business property. At J&J Vinyl Fencing, our aluminum fencing is fabricated with the patent-pending Corigin construction system, which connects the fence rails and pickets from the inside out, and reinforces the fence core for a fencing system with unsurpassed strength. Our aluminum fencing comes in a choice of colors and heights, and because it is constructed without screws, is able to rack and flex to conform to the natural slope of your home or business's landscape. It is ideal for installing in coastal areas where moist, salty ocean air is a concern, and comes in a wide selection of design choices, with one certain to provide the ideal hardscape accent to your Beverly Hills home or business. Contact us today to schedule a free design consultation and estimate at your home or business. As an authorized ActiveYards® vinyl fencing dealer, J&J Vinyl Fencing uses their premium quality vinyl fencing to construct durable privacy fencing for Beverly Hills home and business owners. 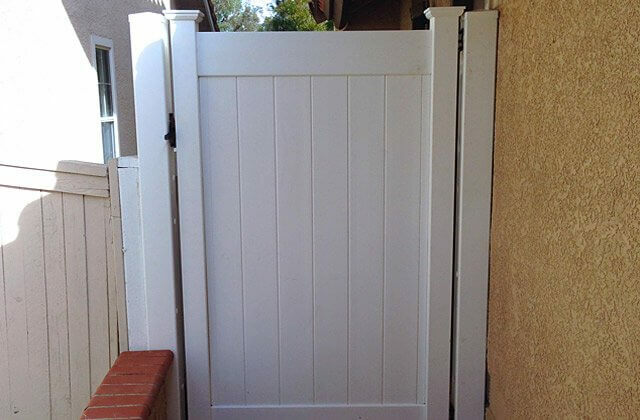 And because of the unique click-and-lock design of this fencing, we are able to install privacy fences that truly are private, because they are constructed with no gaps between the fence boards. We offer a wide selection of privacy vinyl fencing designs, a choice of fence post details, post cap styles, and fence colors, and our vinyl fencing is guaranteed not to peel, flake, splinter, or fade over time even after years of exposure to the elements. These features are what differentiates vinyl fencing from wood fencing, which must be constantly maintained to protect it from weather and insect damage. In contrast, vinyl fencing is virtually maintenance free, and serves as an excellent investment in your residential or commercial property. 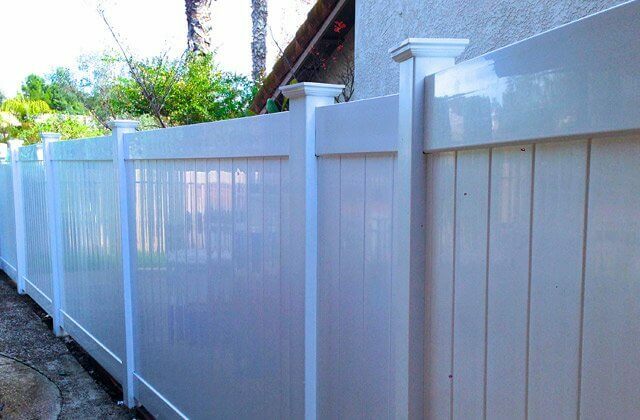 At J&J Vinyl Fencing, our semi-privacy vinyl fencing comes in a variety of fencing styles, fence heights, and colors, and is the perfect choice for Beverly Hills home and business owners who would like the look of wood fencing without the maintenance concerns. Our cambium cypress fencing has the look of natural cypress wood fencing, but never requires refinishing. 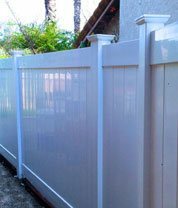 And our white, sand, and wicker vinyl fencing has the appearance of painted wood fencing, yet unlike real painted wood fencing, will never peel, flake, crack, or warp. In fact, vinyl fencing typically lasts decades longer than wood fencing, retaining its like-new appearance after years of exposure to sun, wind, and moisture. It is not subject to dry rot and termite damage, like natural wood, but is virtually trouble-free. Vinyl Fencing is a versatile fencing material, and lends itself to a wide variety of fencing designs, including picket fencing. It is durable and maintenance free, and has the look and design possibilities of wood fencing, without wood fencing's susceptibility to deterioration as a result of exposure to sun, wind, rain, and insects. 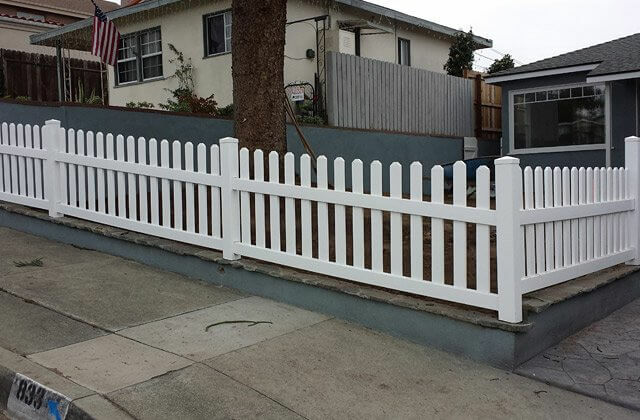 At J&J Vinyl Fencing, our picket fencing is available in a choice of traditional and contemporary designs, with such design accents as scalloped, arched, or stepped fence tops, or alternately, designs featuring a top rail. Contact us today in Beverly Hills. At J&J Vinyl Fencing, we offer our ranch rail fences in two rail, three rail, four rail, and cross rail designs, depending upon the amount of openness desired. Our ranch rail fencing can be used to add distinctive "country" style to your Beverly Hills business or residence, or as a secure enclosure for livestock. Contact us today to schedule a free estimate. 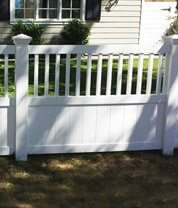 Our vinyl gates are both durable and affordable, and are constructed to last just as long as our vinyl fences. They are designed to complement our wide selection of vinyl fencing styles, and are available in the same privacy and semi-privacy designs. They are outfitted with premium quality hardware, and can also be motorized and equipped with a variety of access control systems. 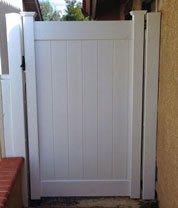 They can serve as driveway gates, pedestrian access gates, and entry gates, and are backed by a lifetime warranty. Depend upon the fencing professionals at J&J Vinyl Fencing for exceptional quality vinyl and aluminum fencing at competitive prices. 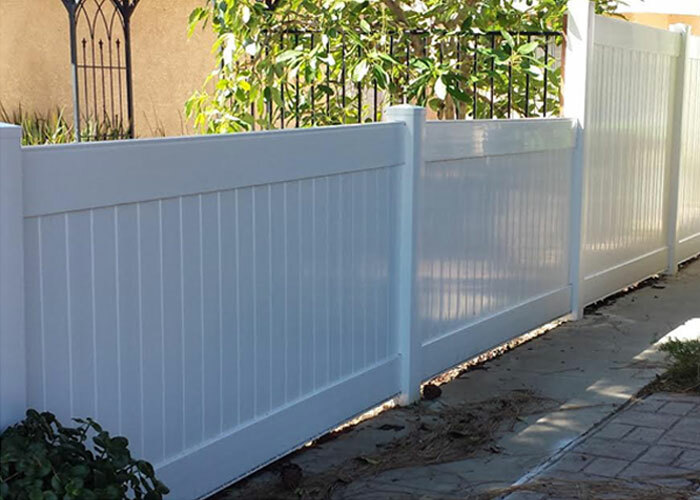 We provide our durable fencing systems to all of Los Angeles County, and provide free onsite estimates throughout our service area. We accept all major credit cards and checks as payment, and are licensed, bonded, and insured. Contact us today from Beverly Hills.